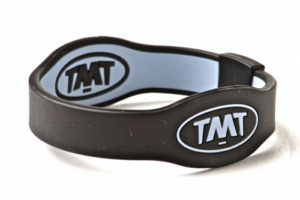 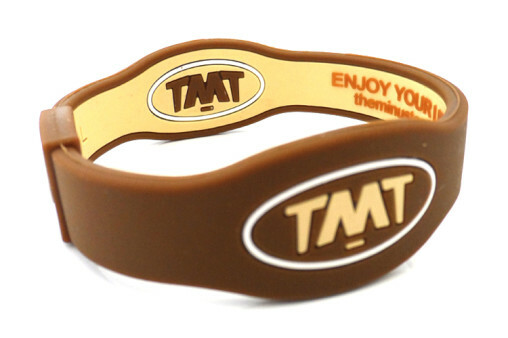 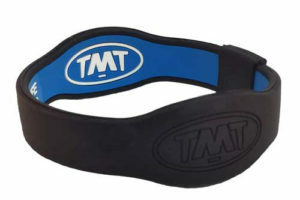 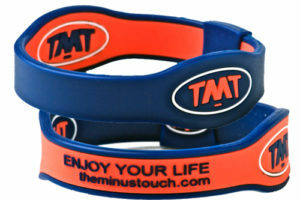 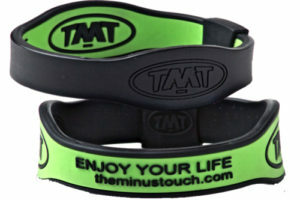 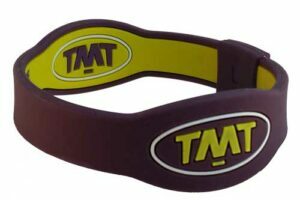 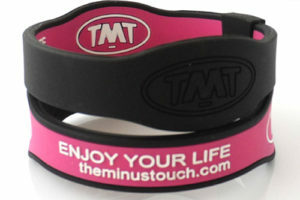 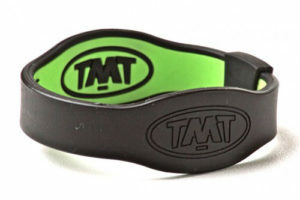 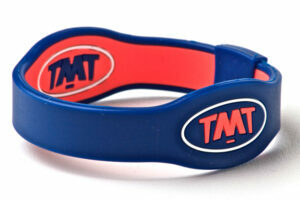 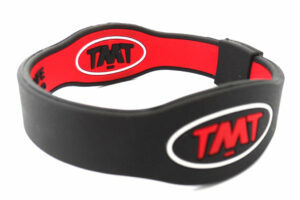 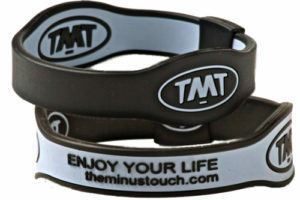 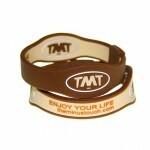 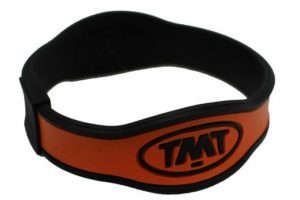 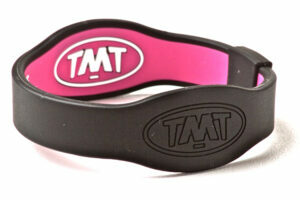 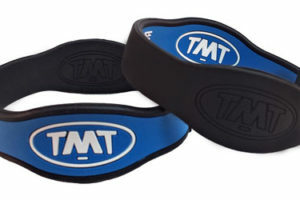 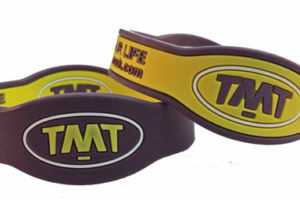 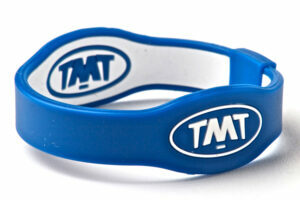 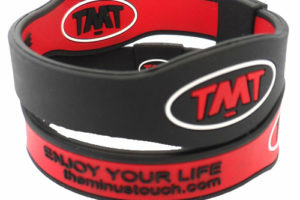 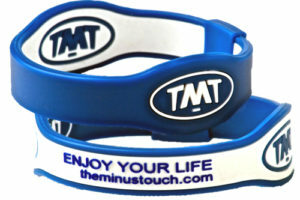 TMT Premium wristbands are infused with high quality bonded negative ion releasing minerals which are mixed like a cake-mix into the high quality silicone when the bracelet is made. The silicone traps millions of negative ions which release the highest negative ion output available. 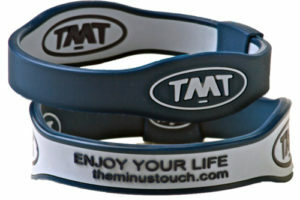 Research has shown that human beings respond to negative ion levels above 1000 ions per cc. 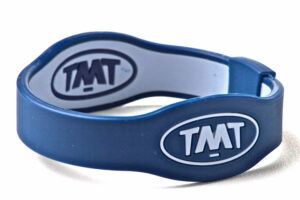 Factory test meters TMT bands consistently between 1600 – 1800 ions per cc.